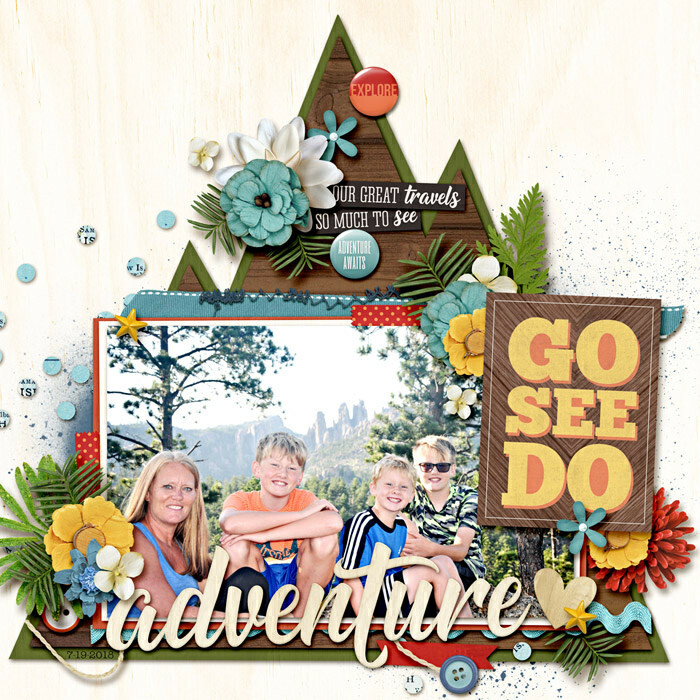 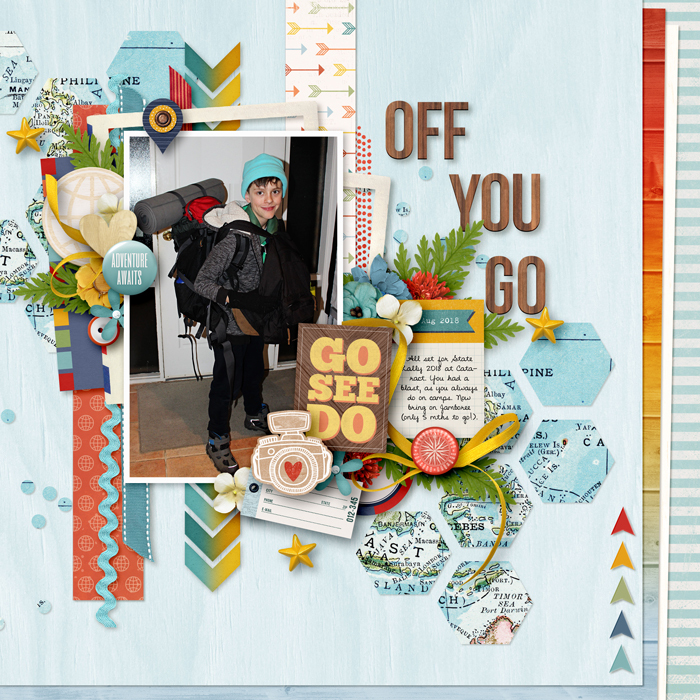 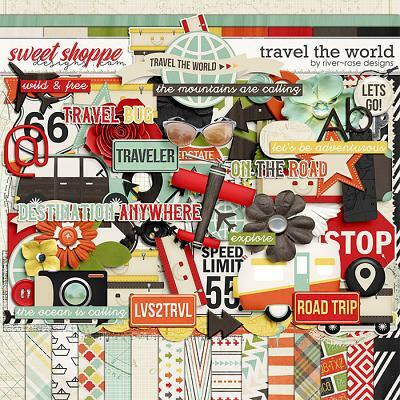 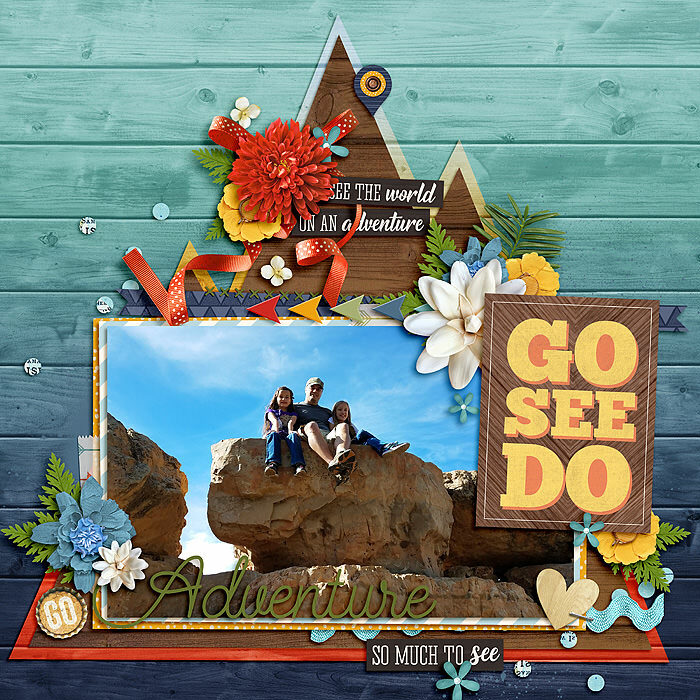 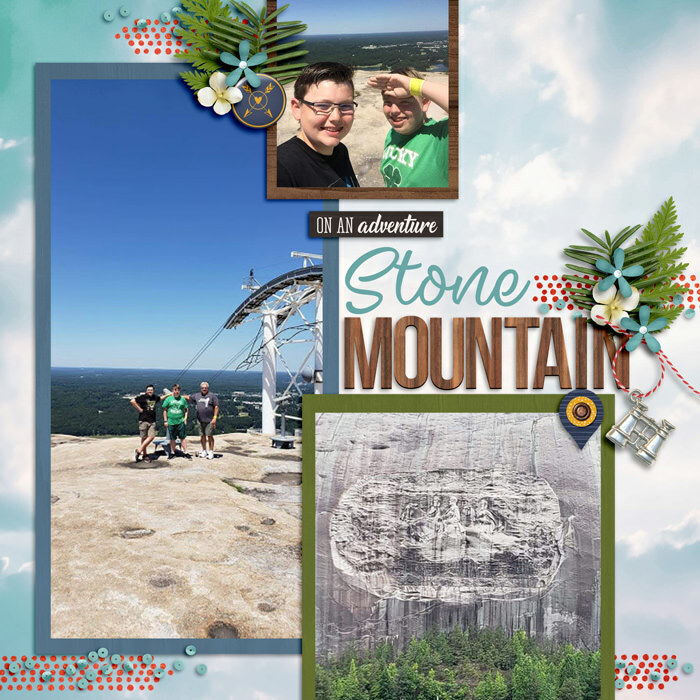 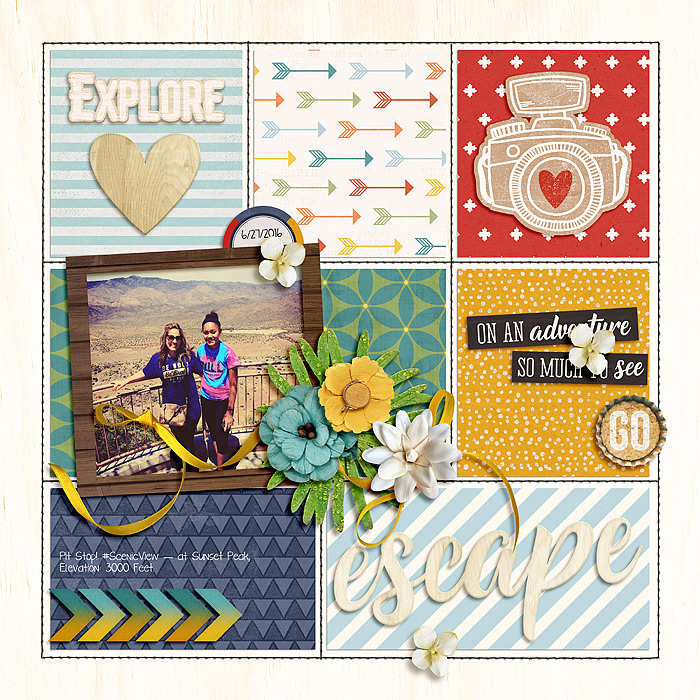 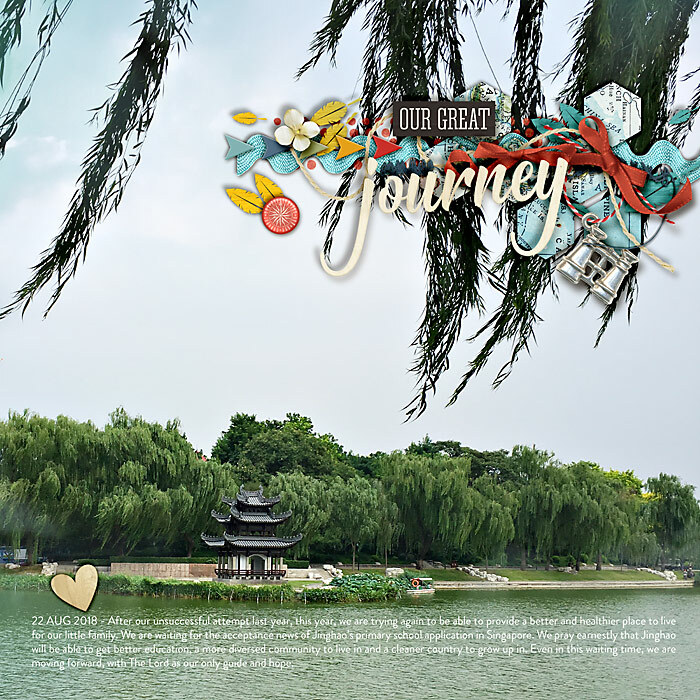 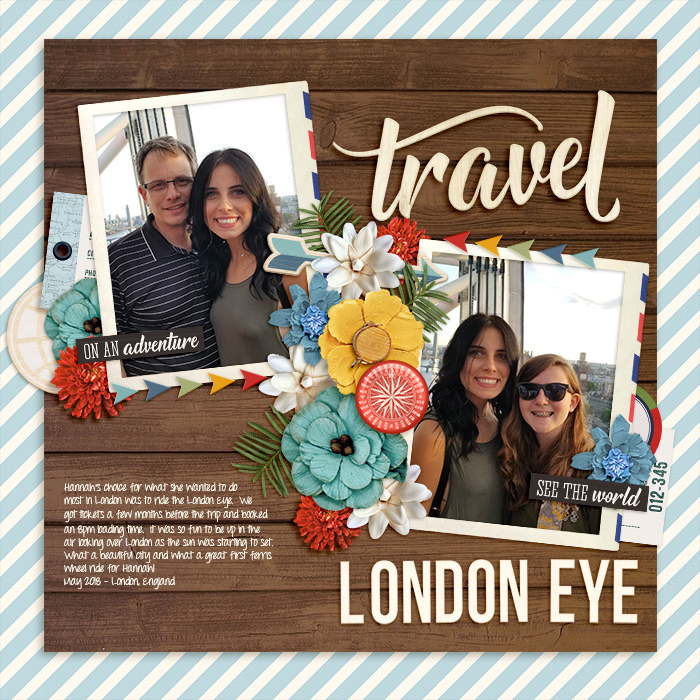 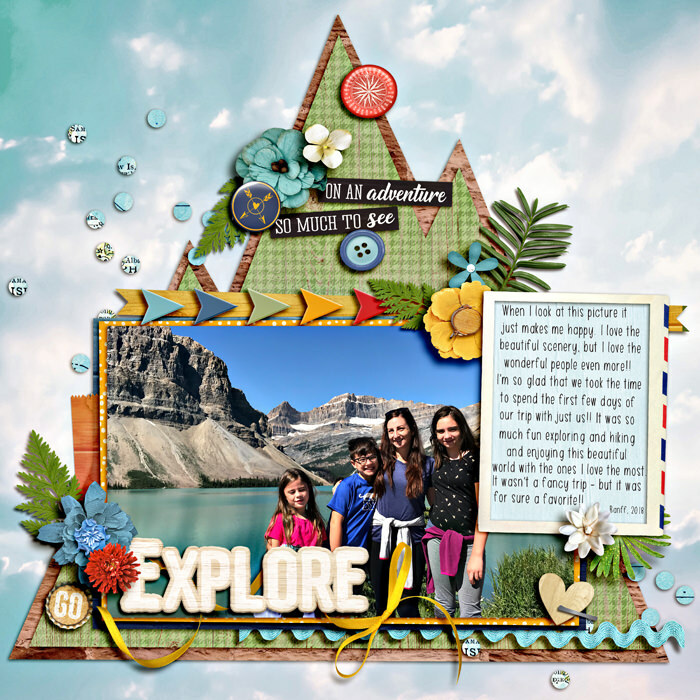 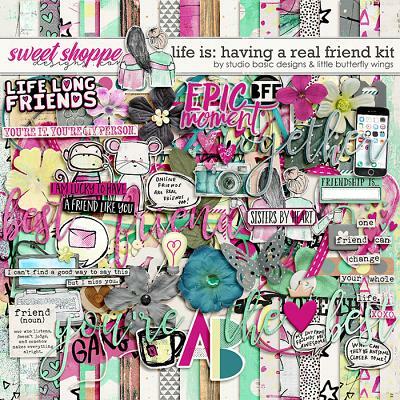 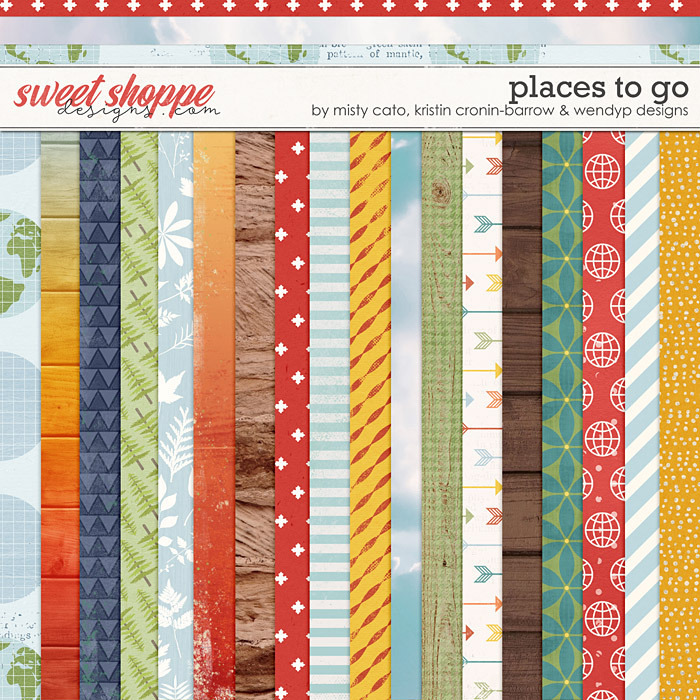 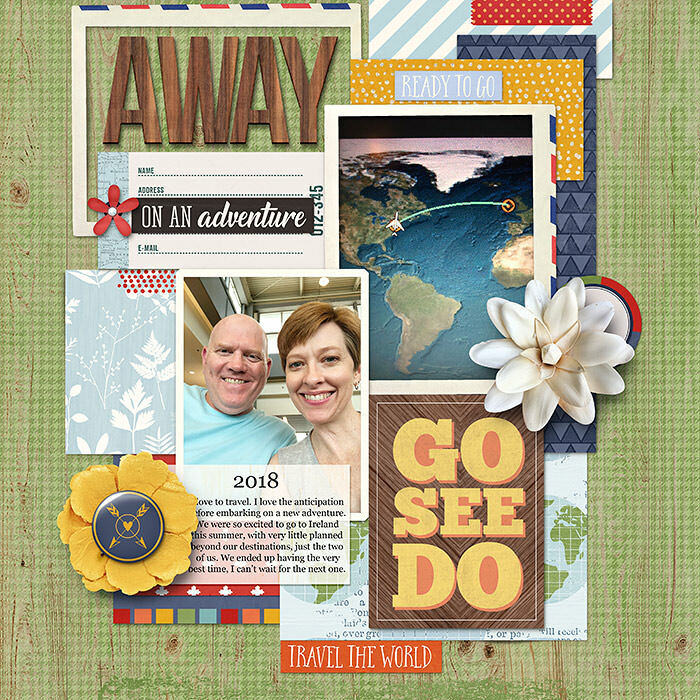 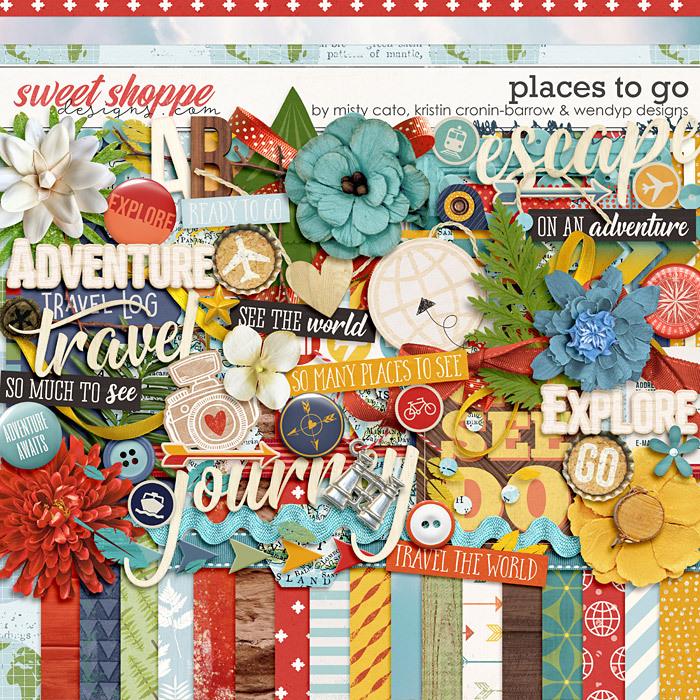 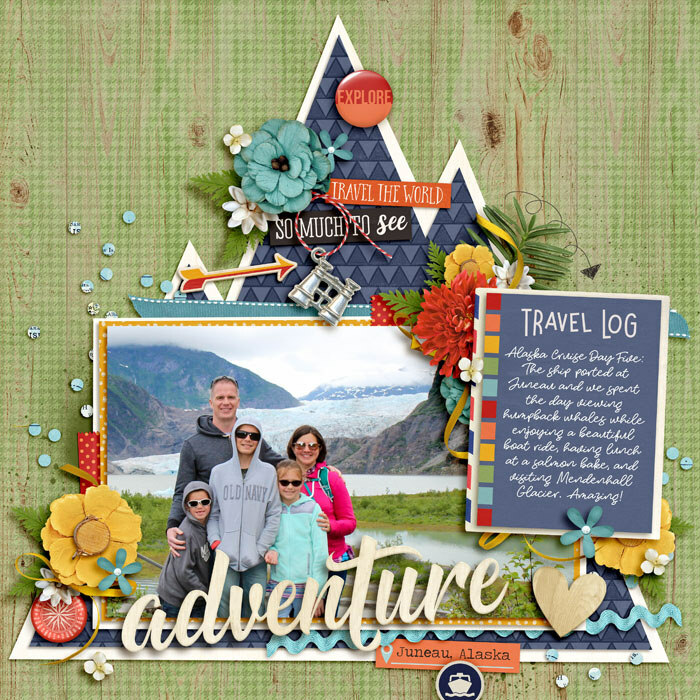 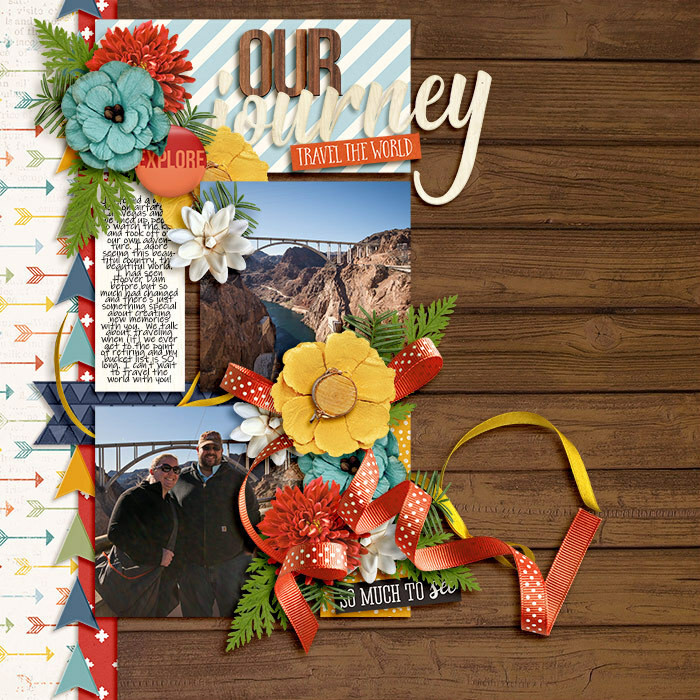 Places to Go, a digital scrapbook kit by Misty Cato, Kristin Cronin-Barrow and WendyP Designs, is packed with everything you need to chronicle travels, vacations and everyday adventures. 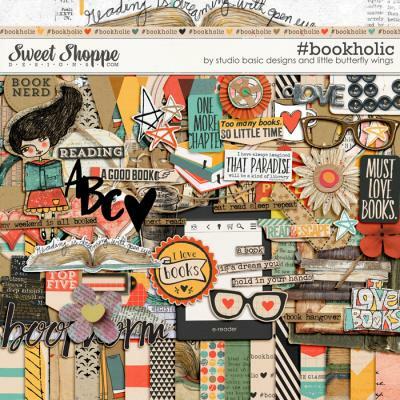 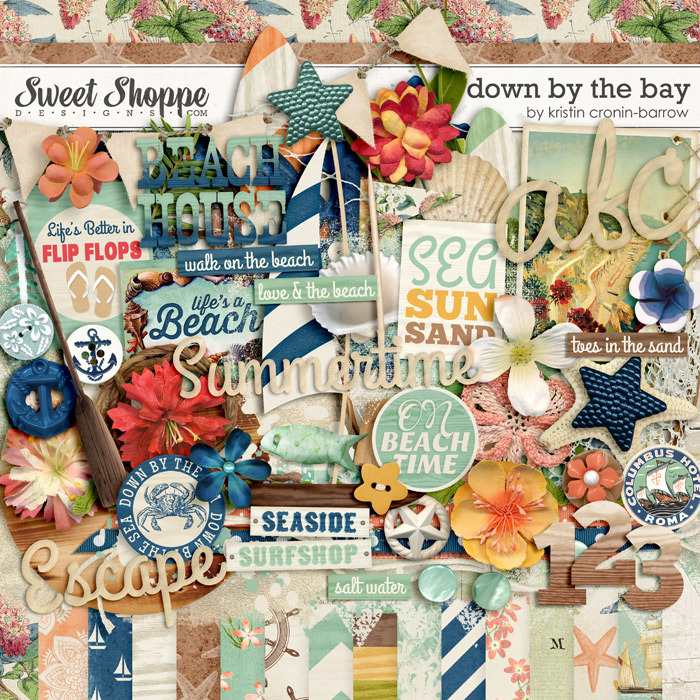 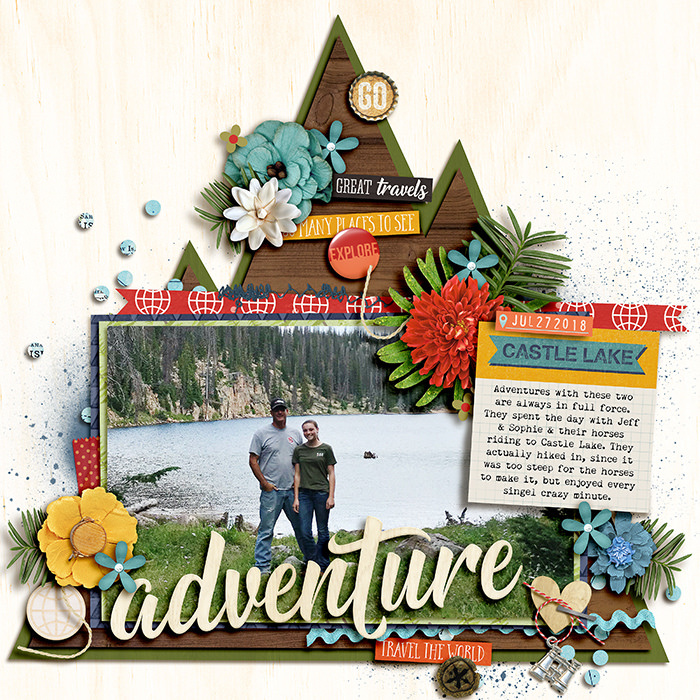 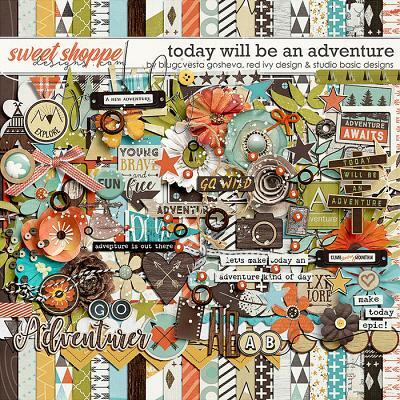 You'll receive 18 12x12 patterned papers, a set of coordinating solids and a 75+ piece element pack including adventure-themed word art and phrases, arrows, buttons, ribbons, frames, travel icons, camera, journal spots, tags and more. 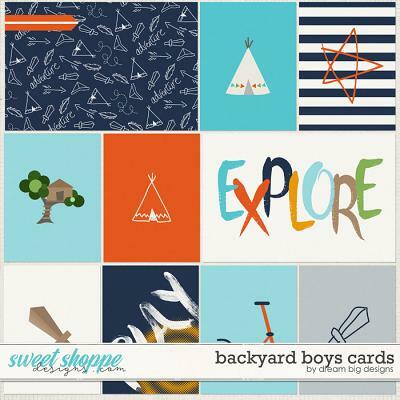 You'll also receive a coordinating alphabet in two colors (capital letters, numbers and common punctuations). 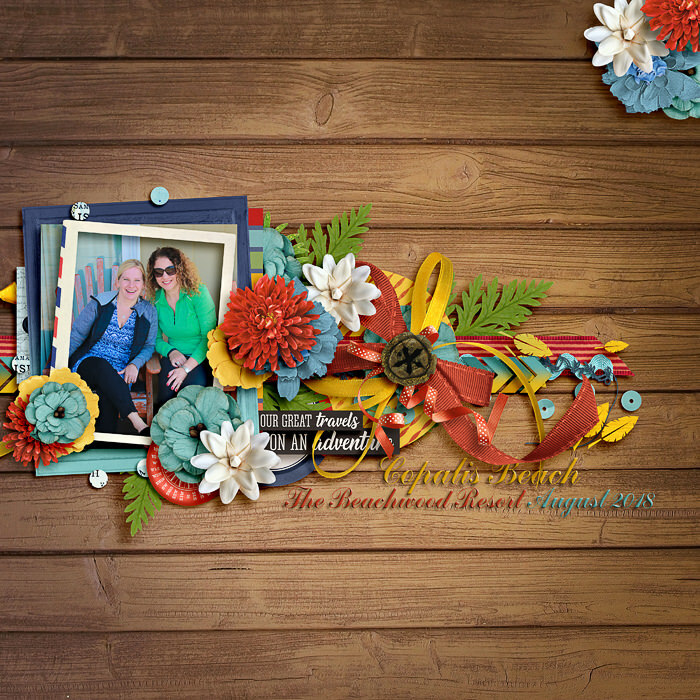 Note: This kit was previously available in a Dynamic Duos bundle free with purchase during a promotion in August, 2018.